In a 2004 post on the right-wing political forum FreeRepublic.com, Jerome Corsi wondered ungrammatically, “Let’s see exactly why it isn’t the case that Islam is a worthless, dangerous Satanic religion? Where’s the proof to the contrary? 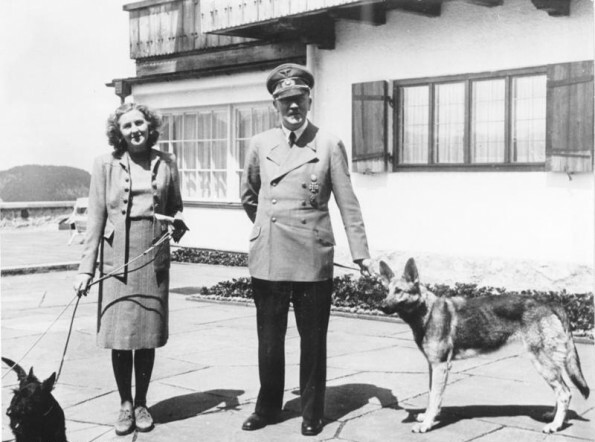 In a new book titled Hunting Hitler: New Scientific Evidence that Hitler Escaped Nazi Germany, Corsi purports to answer that double negative with a bombshell: There is no proof that Hitler didn’t escape because, in fact, he did. The book’s first sentence pretty much sums up the prosaic reality of Hitler’s death: “Everyone knows Adolf Hitler” – together with his new bride, Eva Braun – “committed suicide by gunshot in his underground bunker on April 30, 1945.” After that, according to mainstream historical accounts, the bodies were dragged outside, drenched with gasoline, and set aflame. “Surely” nothing. The last days of the Third Reich were chaotic, with an enfeebled, paranoid Hitler directing nonexistent troops to engage in impossible battles, while his underlings variously panicked, fled, committed suicide, or worked desperately to destroy evidence of the regime’s crimes. It is not at all inconceivable that, amidst this chaos, no one was able to adequately document Hitler’s demise. But according to Corsi, the fact that we don’t know precise details, such as whether the Führer pulled the trigger with one thumb or two and whether Eva Braun was seated to his right or his left when she died (yes, he really specifies those as reasons for skepticism), means we really don’t know anything about what happened to Hitler when the Third Reich fell. Corsi’s belief that Hitler escaped is built on the frailest of factual scaffolding: primarily, a 2009 investigation which cast significant doubt on whether a skull fragment the Russians claimed was Hitler’s truly belonged to the dead dictator. It is fairly well established that, after unearthing Hitler’s charred body in a makeshift grave outside his bunker, Russian military officials spirited the remains away to Moscow, eventually incinerating and scattering most of them while keeping fragments of the bullet-scarred skull as proof. A portion of that version of events was called into question in 2009, when researchers at the University of Connecticut tested the skull fragments and concluded they belonged to a woman between the ages of 20 and 40. Mainstream historians generally agree that, while the Russians may have incorrectly identified the skull, they did, in fact, find Hitler’s remains. Responding to the explosion of conspiracy theories that followed the 2009 revelations, respected World War II historian Antony Beevor affirmed that the Allied investigation of Hitler’s suicide was “meticulous.” Beevor wrote that among other things, Hitler’s dentist positively identified the jaw the Russians found as the dead dictator’s. Even if the Russians accidentally picked up and preserved a skull that belonged to a woman (not an outlandish idea given the chaos and many dead bodies they encountered in Berlin in the war’s immediate aftermath), the jaw they found pretty definitively belonged to Hitler. 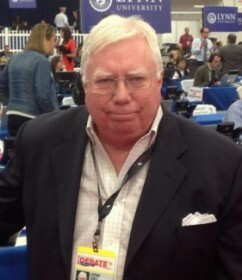 Where there’s gratuitous sensationalism and political conspiracy theories, all too often, there’s also Jerome Corsi. Since he first achieved celebrity by attacking then-Democratic candidate for president John Kerry with 2004’s Unfit for Command: Swift Boat Veterans Speak Out Against John Kerry,” Corsi has become a one-man conspiracy factory. In 2007’s The Late, Great USA: NAFTA, the North American Union, and the Threat of a Coming Merger with Mexico and Canada,” he claimed that a “shadow government” harbors dark plans to launch “an executive branch coup d’etat” and merge the United States, Canada, and Mexico into a single country. Two years later, in America For Sale: Fighting the New World Order, Surviving a Global Depression, and Preserving USA Sovereignty, he described a fantastical “globalist political agenda” that would “erase” national borders, undermine the dollar, and destroy America. Since 2008, Corsi has trained the bulk of his attention on America’s first black president, churning out a variety of “birther” conspiracy theories which peaked with 2011’s disastrous Where’s the Birth Certificate? The Case That Barack Obama is Not Eligible to be President,” released weeks after Obama finally caved to public pressure and produced his so-called “long-form” birth certificate for all to see. Down but not out, Corsi has more recently opined that the president’s father may in fact have been American communist Frank Marshall Davis, and/or that Obama is gay and married to a Pakistani man. As a work of fantasy, Hunting Hitler would have benefitted from some of the creative energy Corsi has poured into his anti-Obama efforts – for when it comes to fiction about where the Nazis ended up after the war, he has a lot of very imaginative competition. Or if that’s not what happened (though Greyfalcon does claim to have proved it), perhaps the SteveQuayle.com website is correct in suggesting that the Thule and Vril are secret societies who together with “Supriem Rockefeller” used Hitler to bring about the United Nations and force the Jews to migrate to Israel, and later spirited the Führer to another planet aboard a flying disc once he had served his purpose on earth. Could be. All is possible with UFOs. I want to believe. “Arguably” since he’s arguing it, we guess. But personally, we prefer the UFO/subterranean Antarctic base/moon theories.